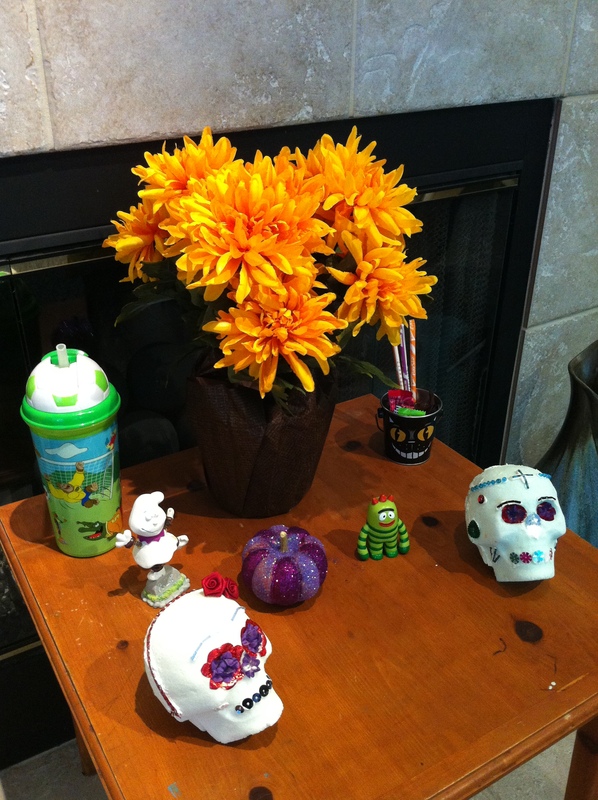 Dia de Los Muertos is a Latin-American holiday that focuses on gatherings of family and friends to pray for and remember those who have passed away. The celebration starts November 1 as All Saints’ Day and continues November 2nd as All Souls’ Day. Traditions include building private altars honoring the deceased using sugar skulls, marigolds, and the favorite foods and beverages of the departed and visiting graves with these as gifts. It is also common to leave possessions of the deceased. The intent is to encourage visits by the souls…. Well, that’s how most of the internet defines it. 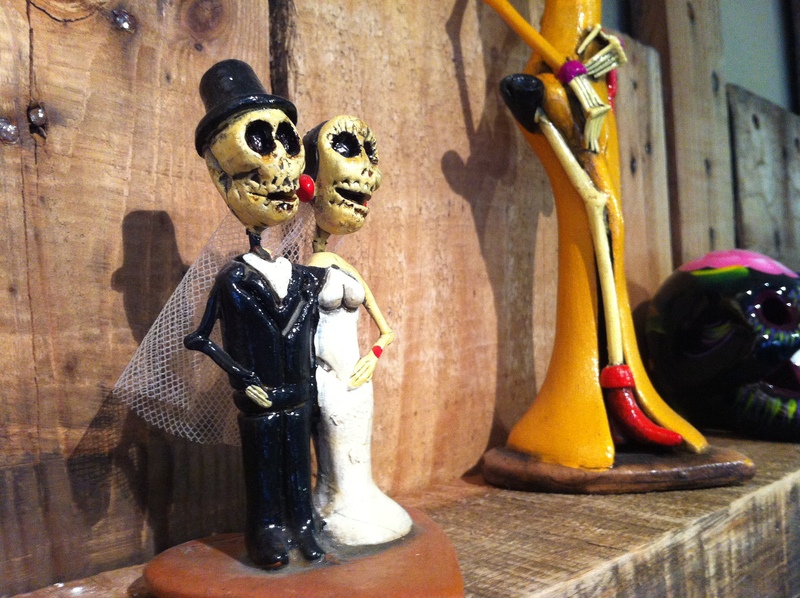 Day of the Dead has become a popular theme for artists to create their own interpretation of all things associated to it. Skulls, flowers, Virgin de Guadalupe, etc. 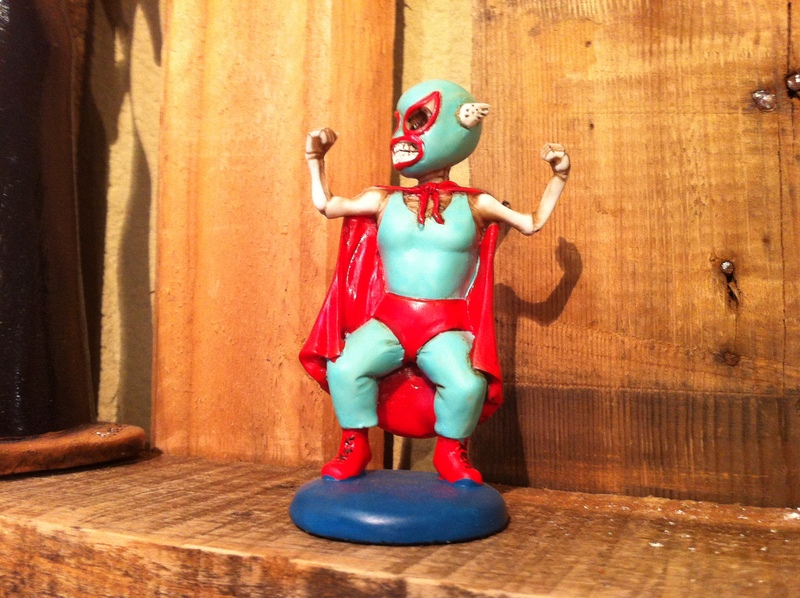 I very much enjoy the art and have been collecting figurines the last couple of years. 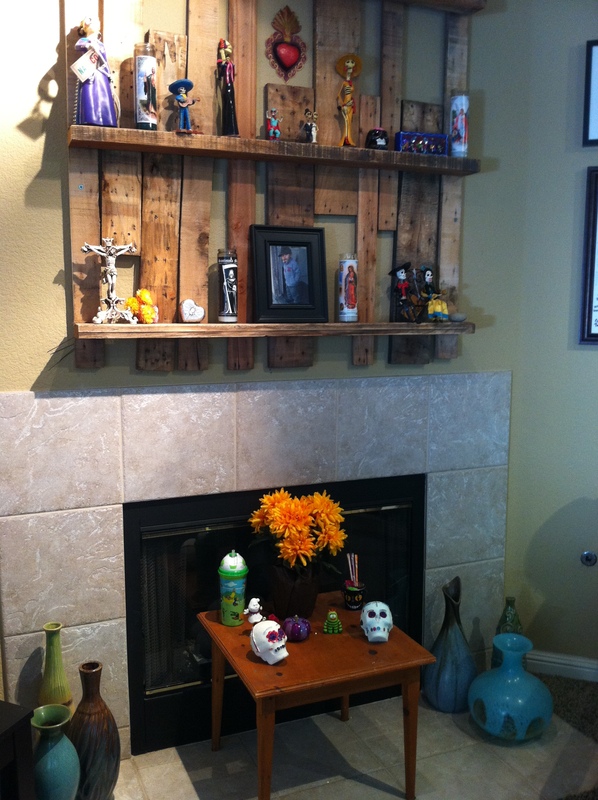 You might remember my pallet shelf which I use as a display for my collection. The little wrestler is for our little Chancho. 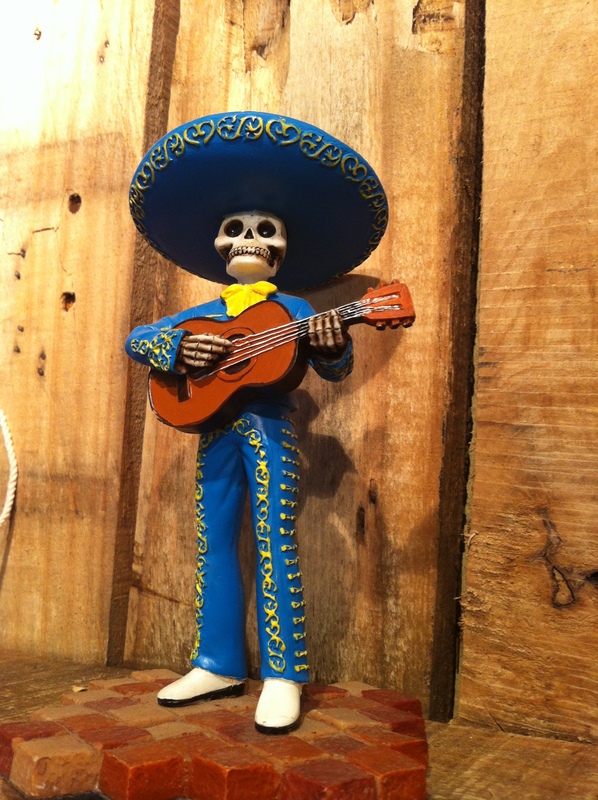 This is a Milagro ornament (milagro translates to “miracle”). 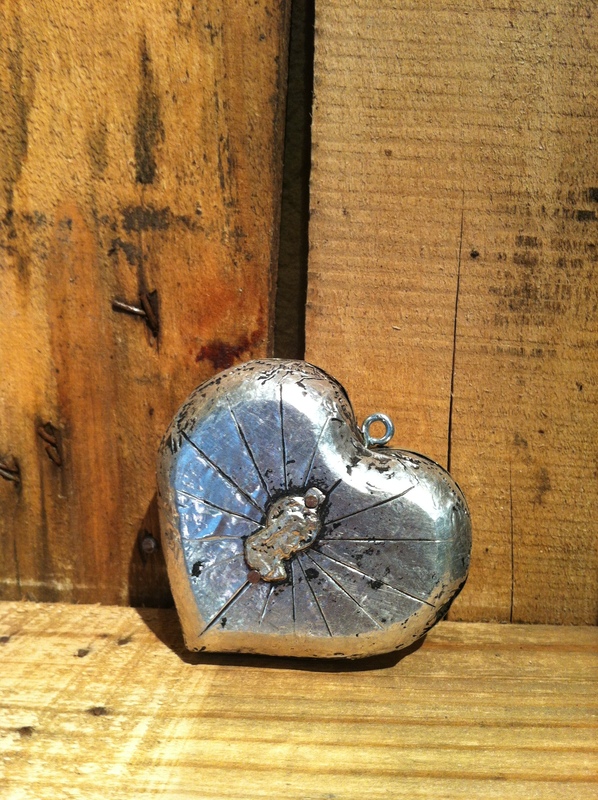 These charms are used as devotional charms or for healing purposes. 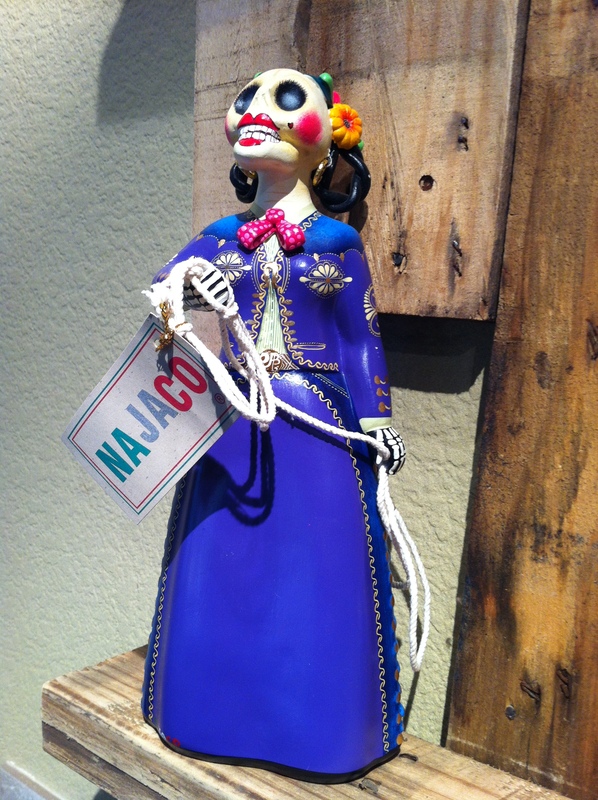 This ornament is from an artist in Puerto Vallarta, Mexico. I was so inspired that I ordered a pack of imported charms to create my own art with them. 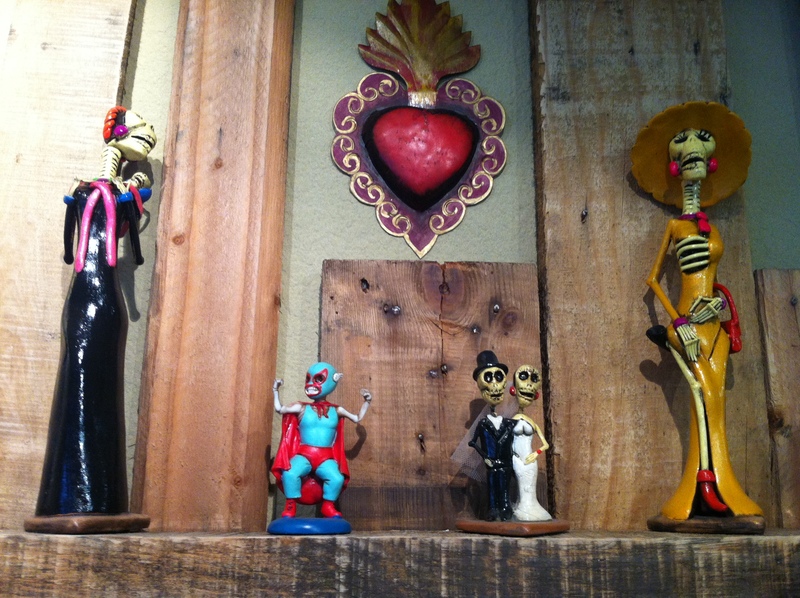 Day of the Dead means more to me than just some figurines and skulls. 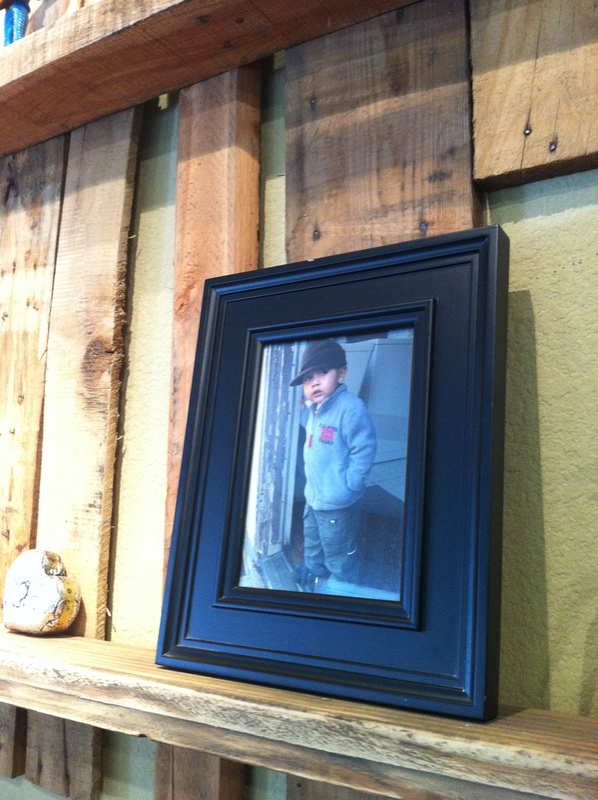 I use it as a opportuniy to honor the memory of my son. We focus our celebration November 1st since All Saints Day is for departed infants and children. For us it is an attempt to embrace death rather than fear it. We are approaching the 3rd anniversary of my son’s passing and holidays are still extremely difficult. Day of the Dead is the start of this season for me. As much as it pains me to go through the ritual of preparing for this day, I know the regret will weigh heavier on me if I just ignore it. I cried the whole time I was pulling bins from the garage and setting up his little altar. 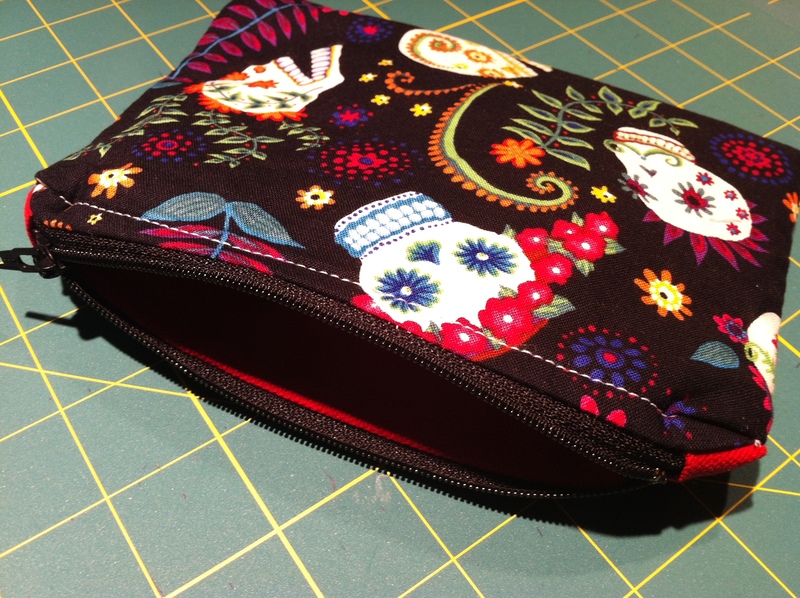 But my husband was right when he told me “…you will feel better after it’s all finished..”. I rearranged everyone on the shelves to make room for his picture and some offerings. I brought out his little table to use as well. 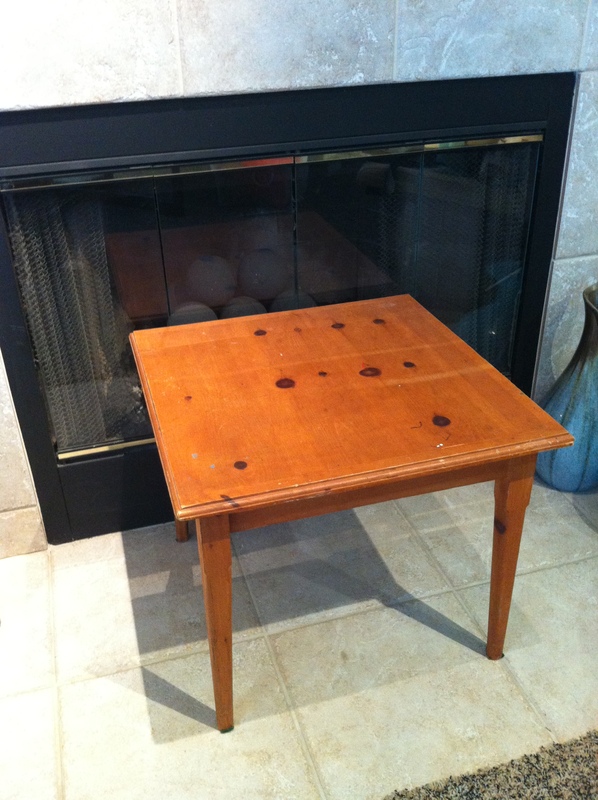 This table has been with me for over 10 years. It was perfect for my son once he started standing and walking. 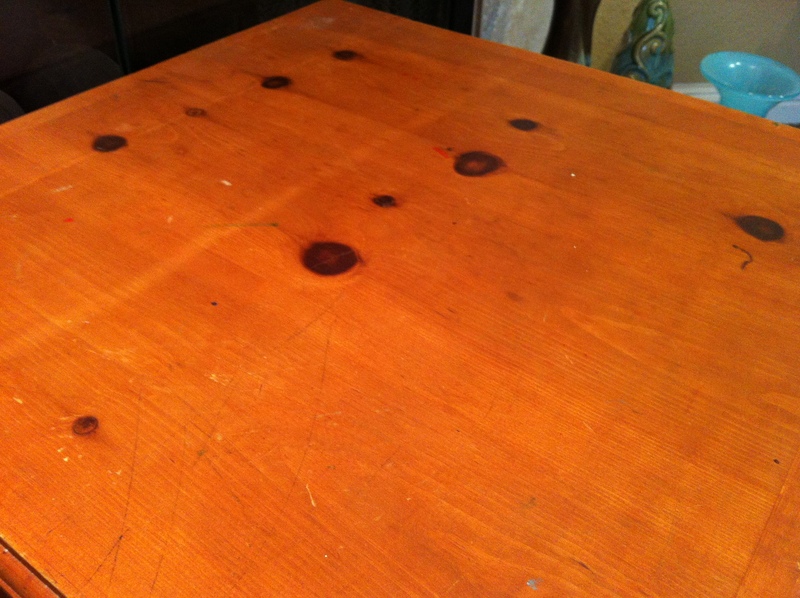 As he got older he would “draw” on paper and eventually the surface of the table became a part of his artwork. I used to get upset and even thought about resurfacing it to cover up all the pen/marker lines. Now I love all the little marks he left behind for me. Can you see them? This table has become a permanent part of his altar. I’m sure he is happy to know it is just the way he left it. 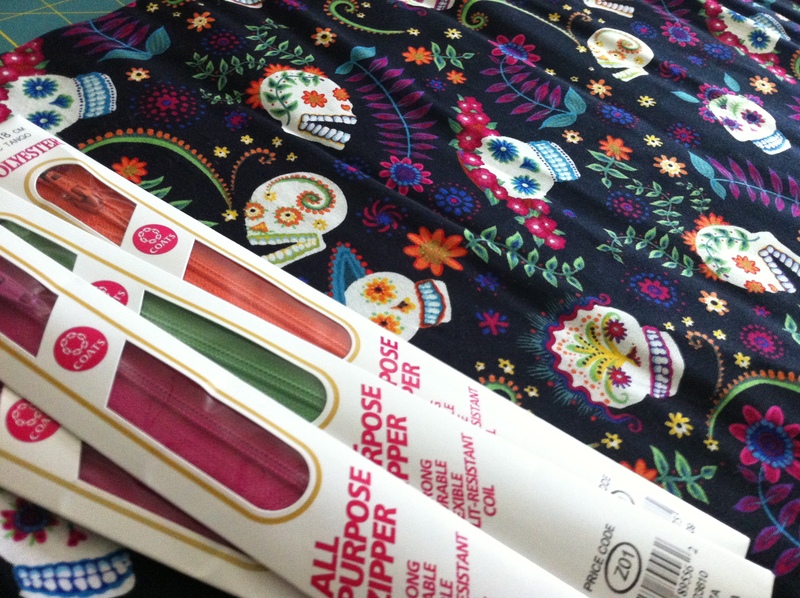 This year’s sugar skull along with another from 2010*. I will be adding Mexican bread (for the spirits to enjoy), candles (to guide him on his journey), and some more of his toys. 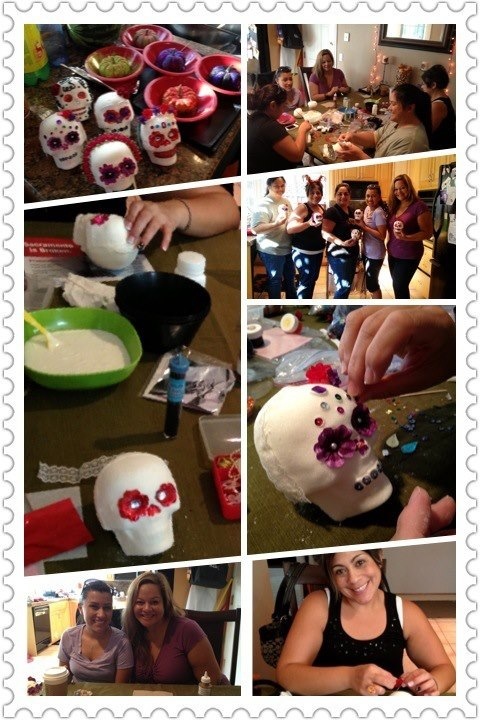 *Some background on the sugar skulls….. some good friends and I have made a tradition of getting together for an annual ‘craft day’ to decorate sugar skulls. It’s a lot of fun and gives us an opportunity to share stories of our loved ones. Once I was done arranging and re-arranging, I was relieved, it was done. As morbid as it might sound to some, celebrating the life of a loved one does not end at their death, it continues beyond that for us. 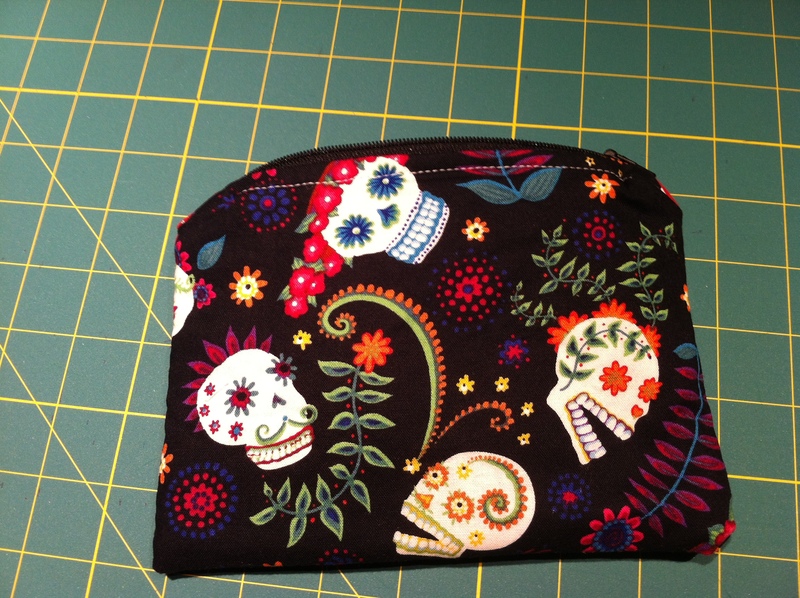 In keeping with the theme for the day, I decided to pull out my Day of the Dead fabric and make a little something. Alexander Henry makes beautiful ethnic fabrics, I wish I could buy them all. So, there you have it. This week isn’t just about costumes, candy, and Halloween. There are other traditions taking place as well.